Thank you Michelle Dark, and your wonderful team for the outstanding show we just saw! We are in absolute awe that you can achieve so much, in such a short period of time, and all those performing looked so happy and thrilled to be a part of the show! I know Liv and Scarlett enjoyed every day, and loved the whole experience. Well done to all those who took part, such an amazing group of young, dedicated, talented, and committed group. Outstanding performance from everyone tonight! Gabby, Travis, Michelle and Carla thank you for putting everything together from the blocking to the costumes to props to everything. All the younger ones that you for the cuddles and piggy back rides. And all the older ones thank you, when I came in I was super nervous because I didn't know anyone but you guys made me feel like we had known each other for a life time! Also thanks mum and dad for paying ! 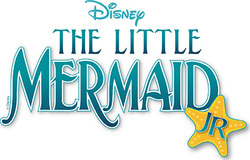 ﻿SHOW: The Little Mermaid Jr. REGISTRATION NOW OPEN! Limited places left! Book in now to be able to audition for a lead.